Facts: Sho-Me, a rural electric cooperative, acquired over many years thousands of easements across properties in southern Missouri. The language in these easements’ varies even though they all grant to Sho-Me the right to construct and operate electric transmission lines. In addition, to the right to construct and operate electric transmission lines, some grant the right to construct appurtenances or do things “necessary and useful to the enjoyment of the easement.” Other easements are for electric transmission lines only or for electric transmission lines with unspecified appurtenances. Others are for electric transmission lines and appurtenances, which include specific references to communications equipment. 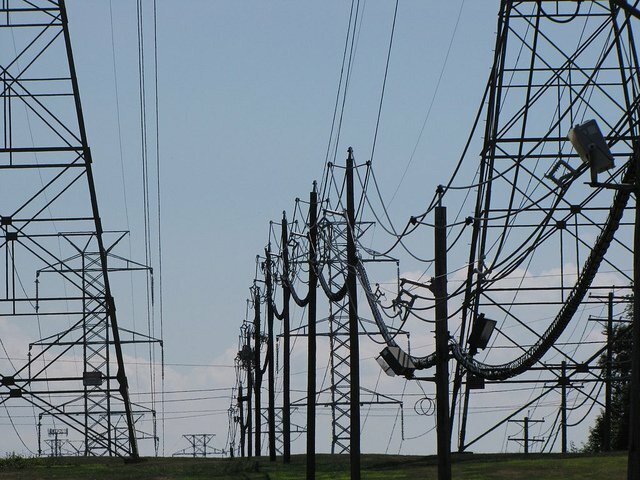 Some are the result of court orders condemning easements limited to electric transmission lines and generic appurtenances or specifying related communications equipment. When Sho-Me installed fiber-optic cables in 1995 alongside its electrical lines, it used the cables for internal communications and created Tech, as a subsidiary company, so Tech could offer commercial telecommunications services to the public. Tech currently provides broadband services to individuals and businesses across southern Missouri. In 2010, owners of land subject to Sho-Me easements filed in federal court putative class actions against Sho-Me and Tech. They alleged Tech’s use of the fiber-optic cable for a public-serving telecommunications purpose was not authorized by the easements, making Sho-Me and Tech liable for trespass and unjust enrichment. The district court certified a class of “All persons who own or owned land in Missouri underlying Defendants’ electric-transmission lines that is burdened by an easement with either Defendant or their subsidiaries, which easement does not contain an arbitration clause, and on or in which a Defendant has licensed the fiber optic cable for commercial-telecommunication uses or has used the fiber optic cable for commercial-telecommunication uses.” The district court then entered summary judgment against Sho-Me and Tech, holding them liable for trespass and unjust enrichment on the Category 1A-C easements. The landowners proceeded to a jury trial for damages on the unjust-enrichment claim alone. The jury awarded the landowners $79,014,140 for the “fair market rental value” of Sho-Me and Tech’s unauthorized use of the easements. Sho-Me and Tech appealed to the Eighth Circuit, which affirmed the summary judgment on trespass liability and the class certification, reversed the summary judgment on unjust-enrichment liability, vacated the damages award and remanded. Opinion: The Court explained that this case is about the scope of easements under Missouri law and the remedies if easement holders exceed their rights. Since there was no dispute about any material facts the question is whether Sho-Me and Tech’s use of the fiber optic cable for commercial telecommunications makes it liable under Missouri law for trespass and unjust enrichment. The landowners argued, and the district court found, that Sho-Me and Tech are liable for trespass under Missouri law for exceeding the scope of Sho-Me’s easements. This argument raises two questions. First, did Sho-Me and Tech’s use exceed the scope of the easements? Second, if their use did exceed the scope of the easements, was it a trespass? The parties agreed that the easements gave Sho-Me the right to install and use fiber-optic cables for internal communications related to supplying electricity, thereby limiting the issue as to whether or not the easements gave Sho-Me and Tech the right to use fiber-optic cables installed on the easement for commercial telecommunications purposes, unrelated to supplying electricity. Section 523.283, which governs the use of easements does not apply if the easements were acquired prior to August 28, 2006 (they were); however, since 523.283 codified existing Missouri law as of 2006 this section is very instructive in understanding the law of easements, prior to 2006. Section 523.283 requires “appropriate consideration and damages to the current owner of the property” for “Expanded use of the property beyond that which is described in the instrument of conveyance or the condemnation petition.” § 523.283.1. It defines “expanded use” to include “An increased footprint or burden,” meaning “a different type of use or a use presenting an unreasonably burdensome impact.” § 523.283.2(2). The Eighth Circuit concluded that: “Under Ashley, Eureka, and Cape Girardeau Bell, Sho-Me’s easements do not authorize Sho-Me and Tech’s use of the fiber-optic cable to serve the general public as a commercial telecommunications enterprise distinct from Sho-Me’s electricity business.” The additional use here is for commercial telecommunications “…unrelated to electric transmission and is therefor an expanded use prohibited by Section 523.238 and Carroll Electric.” The Court rejected the argument, made by Sho-Me and Tech, that the use of the easements for telecommunication purposes was not restricted by the original purpose of the easements because the use of the easement for these purposes is of the “same general character” and is not inconsistent with the principal use granted and is an “unlimited reasonable use.” The court concluded that these arguments were inconsistent with Missouri case law. Remedies: The Court reviewed Missouri law, with respect to remedies for the unauthorized use of the easement, concluding that the use was a trespass because it was a direct physical invasion of the property of another. The Court also concluded that unjust enrichment was not a remedy available to the property owners under Missouri law because Sho-Me had the power to condemn private property and remedies were limited by law, which did not include unjust enrichment. Comment Howard: Judge Benton’s opinion is a masterpiece that should be part of the working knowledge bank of every local government attorney or at least at available at his or her fingertips. The opinion provides a comprehensive review of the law of easements as it pertains to the use authorized in the grant and remedies for unauthorized use. Swallow Tail, a for profit limited liability company, sponsors for-profit mitigation banks, sued the Missouri Conservation Heritage Foundation for its use of the Missouri Conservation Department’s compensatory mitigation program, (Program) claiming that the grant authorized by the Department of Conservation was not a public purpose. Under the Program, when a project is proposed, that requires a permit under Section 404 of the Clean Water Act, the Army Corps of Engineers (Corps) may recommend a requirement that the party subject to mitigation purchase tax credits from a mitigation bank or pay an in lieu fee to compensate for environmental harm. A permittee may use either the in lieu fee program or mitigation bank tax credits, to fulfill their mitigation requirements. The Corps does not set or regulate the price of the tax credit sold by mitigation banks and mitigation banks are not restricted as to how they use the funds generated from the sale of these credits. Swallow Tail, challenged the tax credit program on the grounds that it violates Article III, Section 38(a) of the Missouri Constitution, which prohibits a grant of public money to any private person or corporation and provisions of Article IV, Section 43(b), which requires the Conservation Department to use all of its resources in or generated by the conservation commission fund for bona fide conservation purposes. 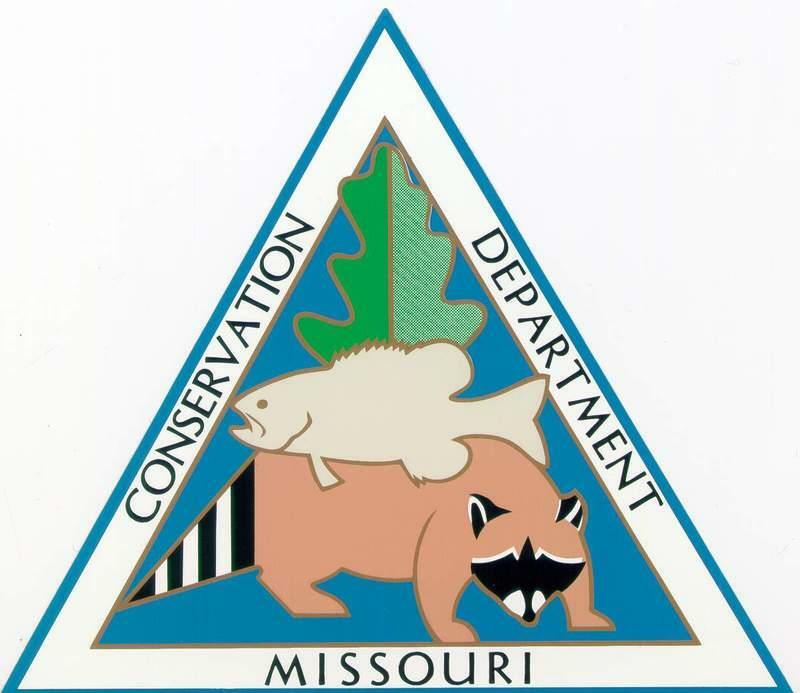 More specifically, Swallow Tail stated that this program violated the Missouri Constitution because it involved using Conservation Commission funds to generate funds for the Heritage Foundation, which should have been deposited in the Conservation Commission Fund. The trial court ruled against Swallow Tail on these issues, which then appealed to the Western District. 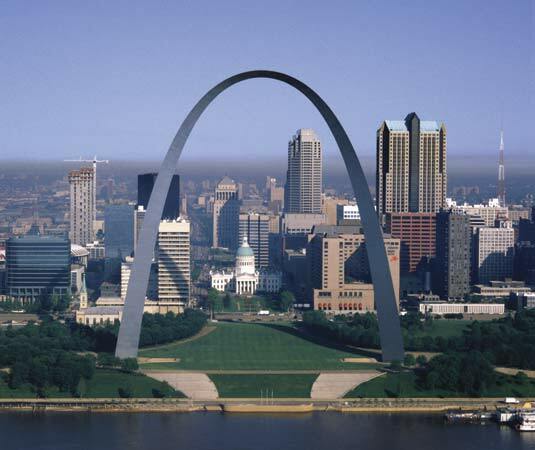 Grant of Public Money To a Private Person: Article III, Section 38(a) of the Missouri Constitution prohibits the State of Missouri (including local governments by case law) from granting public money to a private person or corporation unless it is for a public purpose. The granting of public money or the lending of public credit is primarily for a public purpose if it is “for the support of the government or for some of the recognized objects of government, or directly to promote the welfare of the community.” The test to determine whether or not there is a public purpose is to determine if the “…primary purpose of the act is public, the fact that incidental special benefits may accrue to some private persons does not deprive the government action of its public character.” In this case, the program “… at its core does not involve the transfer of public funds to a private entity.” The projects “…are primarily for “the preservation of the state’s natural resources[,]” and “the quality of our environment and the improvement thereof” is not only a public purpose justifying a grant of public money to a private entity but is also within the Conservation Department’s constitutional mission and guidelines.” The benefits from the sale of the tax credits to private parties are nothing more than incidental benefits that flow from the completion of environmental mitigation projects. Swallow Tail also argued that there had to be a “net environmental benefit” from the project in order for it to maintain its public purpose, which argument was rejected by the court. Comment Howard: If you are looking for a case that provides one of the better discussions of Missouri law with respect to what constitutes a public purpose, this is the case for you. Facts: An employee (Housekeeper) of Red Roof Inn was conducting routine housekeeping functions in various hotel rooms. Upon entering Room 214, the Housekeeper encountered a “white substance” and “pipes” on the counter; at the time the Housekeeper entered Room 214, no individual was discovered. The Housekeeper immediately exited Room 214 and proceeded to inform the management of Red Roof Inn of his observations. The management of Red Roof Inn instructed the Housekeeper to return to Room 214 to photograph the scene. Thereafter, Room 214 was placed on lockdown so as to prevent entry. Approximately 9:00 P.M. that same evening, Defendant, the lodger of Room 214, returned to Red Roof Inn. Upon recognizing Defendant, an employee of the Red Roof Inn contacted Officer Scott Gruswitz (“Officer Gruswitz”) of the Saint Louis Metropolitan Police Department (“SLMPD”), who, fortuitously, was parked in the parking lot of the Red Roof Inn while on patrol. Officer Gruswitz was informed of Housekeeper’s earlier discoveries in Room 214. Officer Gruswitz was also provided the paperwork Defendant completed upon renting Room 214, which revealed Defendant was driving a silver Chevy Impala. After reviewing this paperwork, Officer Gruswitz entered the relevant information through certain databases so as to determine the status of Defendant. As a result of these searches, Officer Gruswitz learned Defendant’s California driver’s license had been suspended or revoked and Defendant’s vehicle was not registered. Shortly thereafter, Officer Gruswitz approached Defendant in the lobby of the Red Roof Inn and requested identification; Defendant provided Officer Gruswitz with a California driver’s license. Officer Gruswitz placed Defendant under arrest for driving while his license was suspended or revoked. Defendant was searched, incident to arrest, wherein a scale with drug residue was discovered in Defendant’s pocket. Officer Gruswitz, in accordance with his training and experience, ordered Defendant’s automobile to be impounded because Defendant was arrested, the automobile was unregistered, and Officer Gruswitz was unable to determine the identity of a third-party to remove the automobile from the Red Roof Inn parking lot. An inventory of the Defendant’s automobile ensued; during that inventory search, marijuana was discovered in the trunk of the automobile. 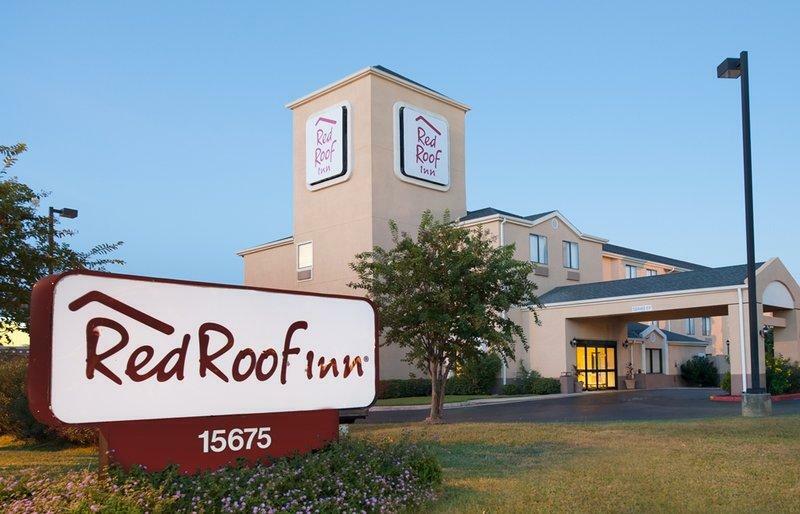 Upon the expiration of Defendant’s lease of Room 214 the following day, Officer Gruswitz was granted access by the employees of the Red Roof Inn to examine said room. Officer Gruswitz discovered drug paraphernalia, currency, and methamphetamine during his access to Room 214. Defendant was thereafter charged with one count of possession of marijuana with the intent to distribute, in violation of Section 195.211 (“Count I”), one count of possession of methamphetamine, in violation of Section 195.202 (“Count II”), and one count of unlawful use of drug paraphernalia, in violation of Section 195.233 (“Count III”). The trial court denied Defendant’s motions to suppress the evidence and a motion for judgment of acquittal. After a bench trial, Defendant was found guilty as charged and subsequently sentenced. The Defendant appealed to the Eastern District. Opinion: Community Caretaking Function: Defendant argued that the SLMPD’s purported lack of any standardized policy, written or otherwise, controlling the decision to impound a vehicle equipped the police with unconstitutionally broad and unbridled discretion in determining whether to impound Defendant’s vehicle in this matter. In this case, Officer Gruswitz testified that he was unable to secure a third-party to remove the vehicle because Defendant refused, when requested, to identify the owner of the automobile. Beyond Officer’s Gruswitz’s testimony regarding his training and experience, the record was void of any evidence or exhibits regarding SLMPD’s standardized policy, written or otherwise, for impounding automobiles. Comment Howard: This case may provide an opportunity to request a review of the impoundment policy of your local police department. The policy needs to be in writing and officers need to be familiar with its application. Facts: KCACS and the City of Kansas City (City) are parties to a lease for a tract of real property owned by the City and located at the Kansas City International Airport. The original lease was entered into on June 18, 1986, but has been amended several times. In 2013 KCACS filed a lawsuit against the City alleging that the City was liable for certain physical damage to the leasehold premises caused by subsurface water migration from City property. In this litigation, KCACS claimed that the physical damage to the premises had deprived it of profit-generating opportunities by preventing it from attracting or keeping certain sub-tenants, and KCACS sought lost profits extending past the expiration of the lease on September 30, 2017. “[The City] can’t just go out and spend $1.75 million and not make it back,” he said. Thereafter, KCACS sent a letter to the City to confirm if it would honor KCACS’s right to renew the lease. The City responded by stating that it had not yet made any “final business decision” if it would allow KCACS to renew the lease stating further that City staff will let KCACS know within a reasonable time prior to the end of the lease as to what the City intends to do. Shortly thereafter, KCACS filed a declaratory judgment action requesting a declaration concerning the enforceability of the lease and the renewal option clause. The City contended that the clause was a right of first refusal and that, even if there was an option to renew it was void because two consecutive 30-year terms violated the 50-year lease limitation in the City Charter. The trial court ruled against the City determining that KCACS had a continuing right to renew for thirty-year terms in perpetuity. The trial court also found that KCACS was entitled to attorney’s fees because there were “special circumstances” for the award stemming from the lack of substantial grounds for the City’s position and the apparent financial motivation for the Cities actions. The City appealed to the Western District. The Western District held that under the above provision KCACS had the power to compel the City to lease at the stipulated price whether or not it was willing to do so. A right of first refusal, on the other hand, does not give the lessee the right to compel a lessor to lease the property. “To the extent that the City contends that interpretation of the clause as an option creates unreasonable results in that the lease does not clarify which lease terms and conditions control, its contention is also without merit.” When a renewal option does not specify the terms and conditions of renewal, “… the same terms and conditions is imported and implied.” The word “opportunity” is synonymous with the word “option.” Therefore, there was thirty-year term with an option to renew for an additional 30-years. Award of Attorney Fees: Attorney fees may be awarded if there are “special circumstances.” In this case, the trial court awarded attorneys fees in the amount of $66,196 and cost of $3248 based upon a motion for award of attorney’s fees by KCACS, which was supported by affidavits. The Western District found that the trial court made this reward without a hearing and presentation of any evidence; therefore, there was an insufficient factual basis for the Western District to determine whether or not special circumstances existed. Comment Howard: This case provides a good analysis of the difference between an option to renew and a right of first refusal. Also, there is an analysis of the law concerning contracts in perpetuity. Furthermore, the comments of the assistant city attorney for the airport might serve as exhibit number one in training staff attorneys with respect to media statements. Facts: Mamtek sought financing and economic incentives to construct a sucralose manufacturing facility in Moberly (Mamtek Project). 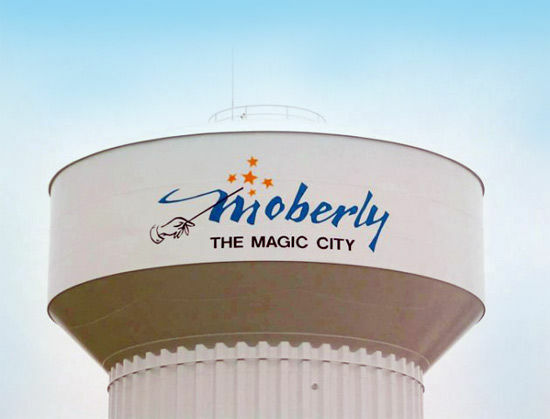 The Moberly Area Economic Development Corporation (EDC) worked with various state entities and the City of Moberly to bring the Mamtek Project to Moberly. The Authority issued bonds to help finance the construction of the sucralose facility to be owned eventually by Mamtek. The City blighted the property on which the Mamtek Project was to be constructed (Subject Property). Property transfers occurred between the EDC and the City to the Authority so that the Authority could issue a Deed of Trust for the Subject Property to provide security to the bondholders until Mamtek made all the required bond payments. A Management, Operating, and Purchase Agreement, a Development Agreement, and a Trust Indenture, effective July 1, 2010, set forth the financing of the Mamtek Project. Pursuant to these agreements, Mamtek agreed to construct, manage, and operate the Mamtek Project through the term of the bonds (September 2025), and the City agreed to timely make the bond proceeds available to pay or reimburse Mamtek for the construction of the Project. Mamtek entered into a construction contract with Septagon Construction to design and construct the Mamtek Project. The contract identified Mamtek as the Owner and Septagon as the contractor. It provided that all portions of the Project that Septagon does not perform itself shall be performed under subcontracts, the subcontracts will be between Septagon and the subcontractor, and Septagon shall be responsible for supervising and for the performance of the subcontractors. The contract contemplated that mechanic’s liens could be asserted on the Subject Property. Septagon, as general contractor, obtained a performance and payment bond naming Mamtek as Owner and the City as co-obligee. Ultimately, Mamtek did not complete the Project and defaulted on its obligations to make the required bond payments. The bond trustee, UMB Bank, took possession and control of the Subject Property on behalf of the bondholders. In February 2012, Stockman filed suit against the Moberly Defendant’s (The Moberly Defendant’s are collectively the City of Moberly (City), Mayor Bob Riley, the Industrial Development Authority of the City of Moberly (Authority), the Moberly Redevelopment Corporation (RDC), and the Moberly Area Economic Development Corporation (EDC)) and others essentially seeking damages for nonpayment of over $349,000 for additional work it performed for Mamtek. Specifically, it asserted claims against the Moberly Defendants for violation of Section 107.170(2) for failing to require Mamtek to obtain a public works payment bond, breach of contract, and unjust enrichment. Alternatively, it asserted a mechanic’s lien claim against the Moberly Defendant’s and others to determine the respective rights of all parties asserting a lien on the Subject Property. Septagon and other subcontractors also filed mechanic’s lien suits. Septagon’s lawsuit included the alternative claims against the City and the Authority for violation of Section 107.170(2). The trial court consolidated the lawsuits. The Moberly Defendant’s filed a joint motion for summary judgment on all of Stockman’s claims against them. They asserted that the EDC, the RDC, and the Authority were entitled to judgment as a matter of law on Stockman’s claim for violation of the public works payment bond statute, Section 107.170, because there was no public works contract between those entities and Stockman and none of the entities satisfied the definition of a “public entity” under the statute. They further asserted that Stockman’s public works payment bond claim failed against the City and the Mayor because the agreement between City and Mamtek was not a public works contract since Mamtek was not providing construction services and a mechanic’s lien was the proper remedy. The Moberly Defendant’s argued that Stockman’s claim for breach of contract failed as a matter of law because there was no contract between the City and Stockman for construction services nor was there a third-party beneficiary agreement. Finally, the Moberly Defendants asserted that they were entitled to judgment as a matter of law on Stockman’s claim for unjust enrichment because such a claim cannot be made against municipal corporations, since the Moberly Defendants did not benefit from Stockman’s work, and the City paid Stockman for its work from bond proceeds. The trial court sustained the motion of the Moberly Defendant’s for summary judgment and Stockman appealed to the Western District. Comment Howard: The September 2016 edition of the MMAA Newsletter discusses the Brentwood Glass case, which was relied by the Western District as determinative in this case. In Brentwood Glass there was a dissent that would have found that construction services were provided under the development agreement entered into by the City and it’s respective agencies. Mamtek agreed to construct, manage, and operate the Mamtek Project under the development agreement. I question the application of Brentwood Glass in this case suggesting that in Brentwood Glass the determinative issue was that the lawsuit was brought against the wrong parties (as was the Moberly case), since Section 107.170 requires a suit to enforce Section 107.170 be brought against public officials, not a public entity. Apparently, the City was considering a reduction in force that could result in a cutback in the daily staffing level of 11 fire department personnel per crew, according to the City’s interpretation of Section 2.03 of the CBA. 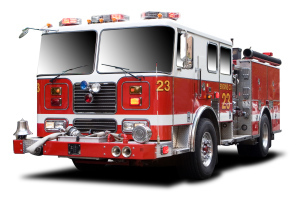 The Union filed a declaratory action asking the court to determine the City’s obligations regarding minimum staffing of the Fire Department under Section 2.03 of the CBA, in the event of a reduction in force. The Union asked the court to interpret the language to prohibit the City from allowing the staffing level to fall below 11 personnel per crew. The City argued the reduction in force provision in Section 2.03 expressly permits City to issue a reduction in force that reduces the staffing level below the number of 11 personnel per crew. The trial court found that Section 2.03 of the CBA allowed the City to issue a reduction in force because this interpretation gives meaning to the entire paragraph. The word “however” in the second sentence modified the first sentence, thereby allowing the City to lower the number of personnel per crew on duty. The trial court determined that this reading of section 2.03 harmonized the two sentences and eliminated any conflict or repugnancy between them. Section 2.03 should not be read in isolation. The trial court further noted that the evidence indicated the actual reduction in force did not alter the services that residents of City receive because the City merely eliminated positions already vacant and, as a result, the safety and welfare of City residents has not been affected. The Union appealed to the Eastern District. Section 518 of the New York General Business Law, provides that “[n]o seller in any sales transaction may impose a surcharge on a holder who elects to use a credit card in lieu of payment by cash, check, or similar means.” Five New York businesses wanted to post one price and a surcharge on customers who paid by credit card. The businesses (Petitioners) filed a petition challenging Section 518 on the grounds that it violated their First Amendment right of free speech. The District Court held that Section 518 violated petitioner’s right of free speech, which was reversed by the Second Circuit on the grounds that Section 518 regulated prices, not speech. 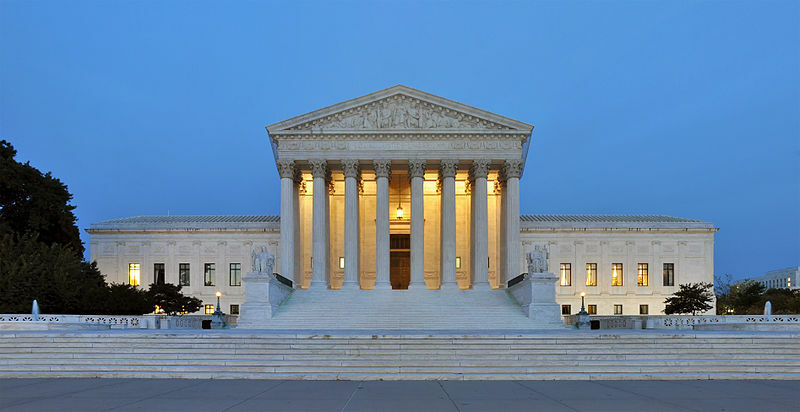 The United States Supreme Court granted certiorari, which reversed the Second Circuit on the grounds that the Free Speech Clause in the First Amendment was implicated because Section 518 regulated how the Petitioner’s could communicate prices. Chief Justice Roberts noted that Section 518 prohibited communication of prices. 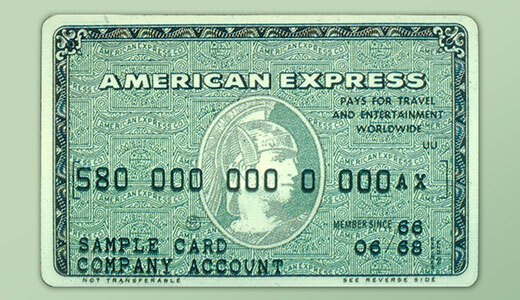 For example it prohibited merchants from posting (communicating) a cash price as an additional credit card surcharge, expressed either as a percentage surcharge or a “dollar-and-cents” additional amount. Under this pricing approach, petitioner Expressions Hair Design might, for example, post a sign outside its salon reading “Haircuts $10 (we add a 3% surcharge if you pay by credit card).” Or, petitioner Brooklyn Pharmacy & soda fountain might list one of the sundaes on its menu as costing “$10 (with a $0.30 surcharge for credit card users).” In other words, the statute prohibited communication of prices in a manner different from Section 518. In the March 2017, edition of the MMAA newsletter, Alan Garner alerted members to the recent Missouri Supreme Court decision in Missouri American Water v. Missouri Public Service Commission, in which the Court avoided (on the grounds of mootness) consideration of whether or not a law continues to apply to a political subdivision if the political subdivision falls below the statutory minimum population after having reached the minimum population standard. Any law which is limited in its operation to counties, cities, or other political subdivisions having a specified population … shall be deemed to include all counties, cities or political subdivisions which thereafter acquire such population … as well as those in that category at the time the law passed.” (Emphasis added).